Many people have talent, but few become stars in their chosen profession. 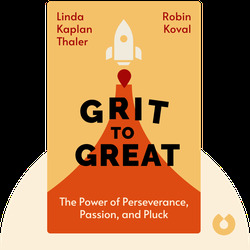 In Grit to Great (2015), two women at the top of the advertising business offer their guide to developing the resilience and hard graft that will help you succeed. Linda Kaplan Thaler is an Advertising Hall of Fame icon and the mind behind some of the most well-known advertising campaigns of our time. She is the chairman of Publicis Kaplan Thaler and was the CEO as well as co-founder of the Kaplan Thaler Group. 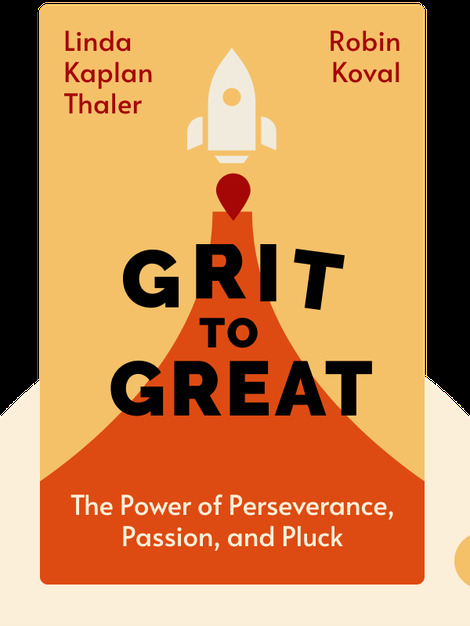 Robin Koval, president and CEO of the Truth Initiative, is the other co-founder of the Kaplan Thaler Group. She’s also a faculty member of New York University’s Steinhardt School.